University of Arizona, School of Fine Arts. Tucson, Arizona, USA. 12'H x 3'W x 3'D. Fabricated sheet bronze, handmade tile, landscape. 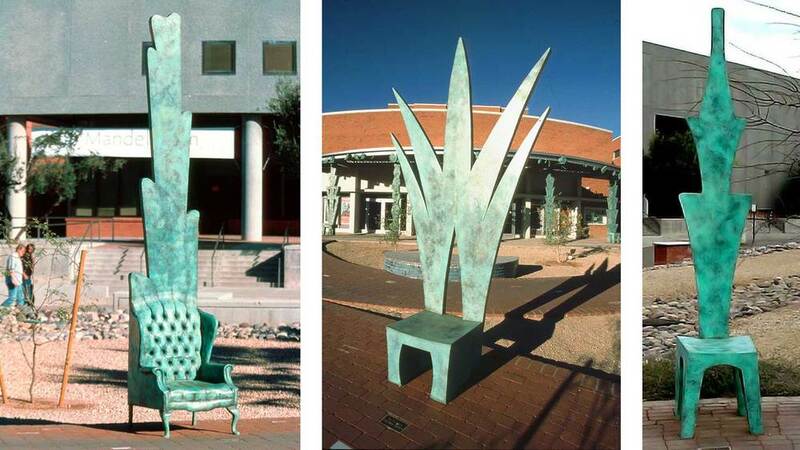 Located at University of Arizona School of Fine Arts, Park/Speedway, Tucson, AZ. 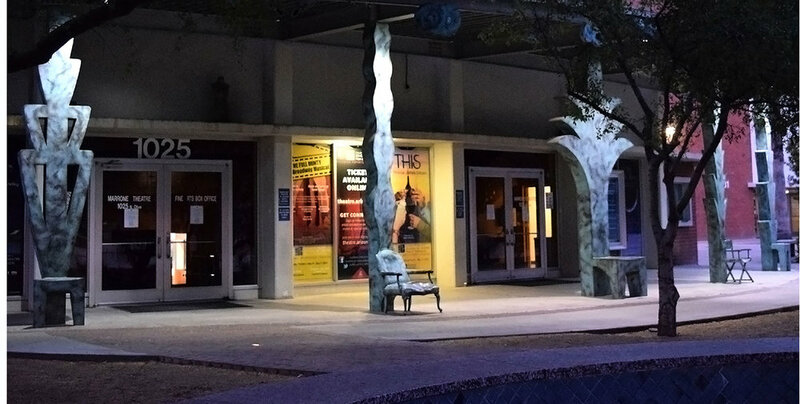 Sculptural environment integrated into the front landscape of the Marroney Theatre at the University of Arizona Fine Arts Department. The environmental sculpture consists of ten bronze chairs and five small amphitheater units used during outside performances and gatherings. Commissioned by University of Arizona College of Fine Arts, Steve Hedden, Vice Dean, College of Fine Art, University of Arizona.